How you pack your gear is a personal choice, but for many of us keeping it dry and relatively organized is a bare minimum. When paddling into canoe country, dry is by far the harder of the two objectives. Inside my waxed canvas canoe pack you will find several ultra-light stuff and compression sacks shrinking my gear down and keeping it all dry and accessible. The one habit I have had for years is keeping my shelter and rain gear in a small bag lashed to the outside of my pack. That way I can set up camp without even opening my pack, which has saved me numerous times. Most ultra light stuff sacks are not cut out for this kind of wear and tear. 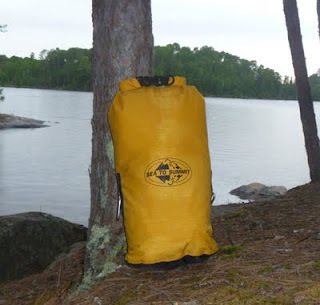 Sea to Summit has a wide range of storage and dry sacks to choose from, but if you are looking for bullet proof the Big River Dry Sacks are the Cadillac on the market. From a technical standpoint, these bags are incredible. 420D coated nylon fabric comprises the bulk of the sack, but this stuff has been tested to repel more water pressure than seems possible. The waterhead test is designed to force water through the fabric under pressure. The higher the pressure necessary to produce 3 drops of water on the opposite surface, the more water resistant the fabric. Class 3 fabrics, the highest in apparel, requires that fabrics surpass 1300mm of pressure. These Dry Sacks tested out at over 10,000mm!!! I am not a techno critic, but 7.5 times the class 3 benchmark leads me to believe the fabric is extraterrestrial. One trick to creating a good seal is to put soft resilient objects inside the sack to push back against the roll-top closure once secured. Try putting your pillow, towel or fleece at the very top of the sack, it makes a huge difference. Every dry-sack I have ever touched says "Do Not Submerge" and that the closures are not designed to be water tights against pressure. Well, I am not exactly one to follow directions, so I did exactly that. I stuffed this sack full of soft stuff (clothes and my towel), closed it up tight, and went for a swim. I used it like a life preserver and floated around the lake for over an hour, even dunking it down to 5-6 feet deep. When I climbed back onto shore I opened up the bag and pulled my bone dry towel out and dried myself off. Not a drop managed to sneak inside. Sea to Summit did not try and build a bag that will keep your stuff dry if you splash it with a little water, or it has to sit in a puddle in the bottom of your canoe. A black plastic garbage bag can do that. 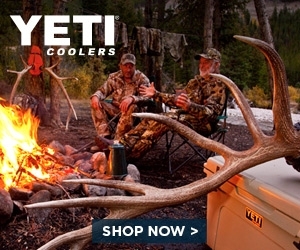 They built a bomber sack that you can literally drag down the trail, throw overboard to save your swimming challenged buddy, then fend off a family of granola bar thieving raccoons, all without any signs of fatigue.